As an Interior Architecture and Design student, I am steeped in all things design. I have studied the art and function of interior design of ancient cultures and the cutting edge modernists. There are so many wonderful epochs and styles that I have studied, but the one that has had the most impact on me is wabi-sabi. I actually first encountered the philosophy of wabi-sabi while studying sculpture at Sonoma State. 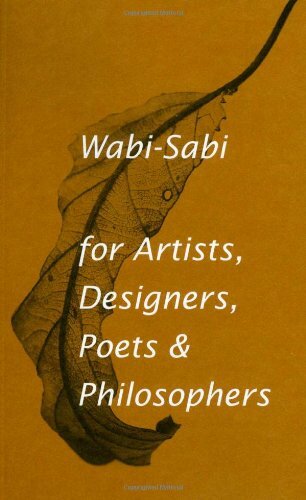 My mom had bought me a copy of Wabi-Sabi for Artists, Designer, Poets & Philosophers by Leonard Koren one year for Christmas. That book changed my life in a very positive way because it gave a voice to some design principles that I had always felt innately. Wabi-Sabi is basically a philosophy that accepts the impermanent and transient nature of beauty. It is a Japanese philosophy that informs much of what we understand as basic Japanese aesthetic. It can be traced back well before the 14th century, but it became distinctly Japanese around then. I love that wabi-sabi is applicable to many aspects of life and allows one to be comfortable knowing that things will change over time, so embracing the patina of age is wholly acceptable. A distinctly buddhist philosophy; embracing impermanence is a source of relaxation. This is why a space designed with wabi-sabi ideals is minimal, yet comfortable. The video here is Axel Veervordt explaining how wabi-sabi inspires art, architecture, and interior design. Several wonderful examples of wabi-sabi are found in the gallery below, but one can find it expressed in many different ways. Think of pottery that has a chip. 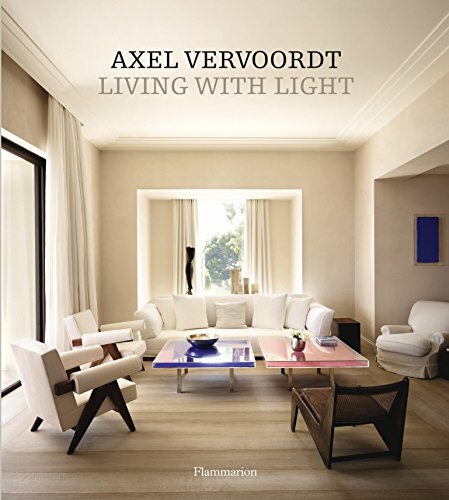 As my hero Axel Veervordt captured perfectly in his book, Living With Light, wabi-sabi can be expressed in a space by how the light rises and decays throughout the day. This is an interesting idea, thinking about how light interacts with the space inside. What I think wabi-sabi provides to the interior designer is a license to maintain a minimalism that can be coupled with a rustic charm to provide a livable, modern space. Please enjoy these examples of wabi-sabi design. Joshua English is a freelance designer and lifelong student of design. He is also the principal designer for joshua english:design. Devoted chair nerd and lover of wabi-sabi.